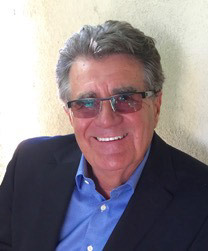 Paul David Walker, Founder & CEO of Genius Stone Partners, was part of building the first leadership firm to align Strategy, Structure and Culture, and has been a business leadership adviser to the CEO's of Fortune 500 and midsize companies for over 30 years. He is the author of Invent Your Future-Starting With Your Calling, Unleashing Genius: Leading Yourself, Teams and Corporations, two other books, and will publish a new book called It Waits For You soon. He has succeeded by unleashing the genius of the people around him, and is known to be an inspiring visionary leader and master of collaboration. He has consulted with the CEO's of: New York Life, Food Land, Von's, Harrods, Star-Kist Foods, Teradata, Chase, Union Pacific Railroad, Mutual of Omaha, Rockwell International, Conexant Systems, Anne Klein, The City of Long Beach, and many other less known companies. He specializes in coaching leaders to personal insight and development while leading the growth of their teams and businesses.He has been, and is, mentored by some of the most profound business leaders, philosophers and spiritual leaders of our time. Paul will involve you and your team in an explorative dialogue that will expand your understanding of how to extend present reality into a successful future. Your understanding of leadership, yourself and your business will take a quantum leap. Paul is a master storyteller, using humor and insight to stimulate learning from the day-to-day experience of leading a business. He asks his clients to tell and analyze their greatest success stories to create a "line of sight" to their genius. Leadership teams, while laughing and deepening self-knowledge, bond together to win. Paul works with the CEO, Founders, Boards, and Executive Teams to accelerate the performance of your business, the growth of your leaders, and the health and well-being of your organizational culture. Paul, and Genius Stone Partners, work side by side with you and your business leaders to achieve your business objectives while teaching the art and science of highly conscious leadership. 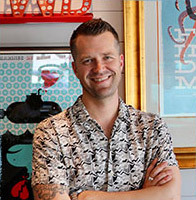 Paul possesses a unique combination of business, team building and executive development skills. –Dwight Decker, Chairman and CEO, Conexant Systems Inc.
Because of your expertise we achieved our objectives in an extremely timely fashion. We took an enormous leap forward; making our words about a special company become a reality … my senior team has also grown tremendously along with our earnings. "Building hospitality teams committed to your brand and each other's success." Yanni Walker joined the Simm's family as a server at Manhattan Beach Post before and during the opening in 2011. He was inspired by Chef LeFevre's, (Michelin star Chef/Co Owner) vision, culture, and culinary approach. Within a couple of years realized that the culinary world would help to shape the foundation for the rest of his life. With the support of the team at M.B. Post, and mentorship of Chef LeFevre and Operating Partner Jerry Garbus, Yanni earned his Level One Sommelier certification, and produced some of the restaurant's most notable cocktails. Yanni continued to cultivate his innate talent for hospitality by transitioning from server, to bartender, manager, assistant general manager and finally, Fishing Dynamite's General Manager producing record profits. For the past 15 years Bonnie has been part of building a boutique leadership consulting firm, Genius Stone Partners, with administrative and financial responsibilities, as well as editing with a strong attention to detail all company materials and publications. 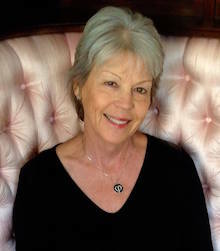 For over 25 years prior, Bonnie had been the right-hand assistant to CEO's, serving in such capacities as Human Resources, wherein she counseled employees and handled conflict resolution, often times coaching the CEO's in employee relations through both psychological and intuitive understanding of human dynamics, and according to State and Federal regulations. In recent years Bonnie continued her pursuit of deep spiritual understanding and how to live a path with heart through the completion of a Masters Degree program in Spiritual Psychology with an emphasis in Consciousness, Health and Healing. Bonnie is also certified in Health Realization having been part of a team making presentations to inspire awareness of innate health to drug and alcohol addicts in the skid row area of Los Angeles. Bonnie writes very self-reflective, healing poetry with universal appeal, that is shared for the purpose of inspiring others to their own healing potential, and is dedicated to service with the intention to make a difference in the world through leading by example in everything she does.